Course Website: Official Website - Visit Merit Club's official website by clicking on the link provided. 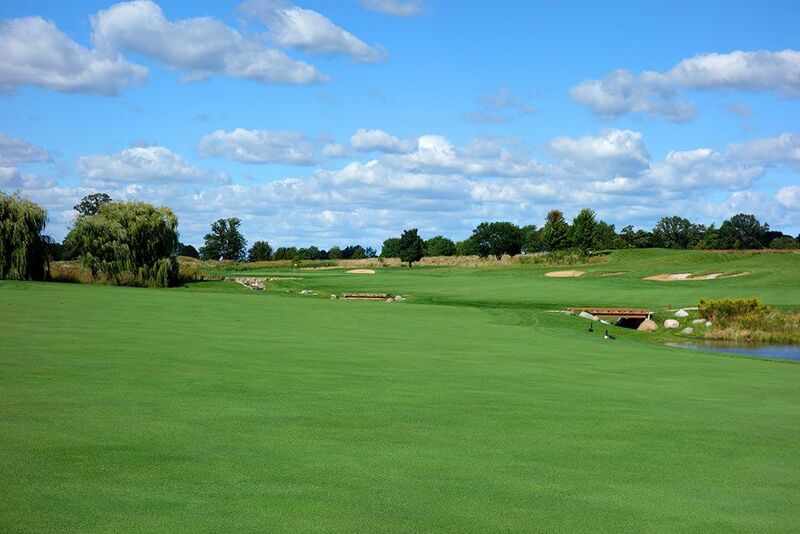 Accolades: Ranked 8th in Illinois on Golf Course Gurus' Best in State list. 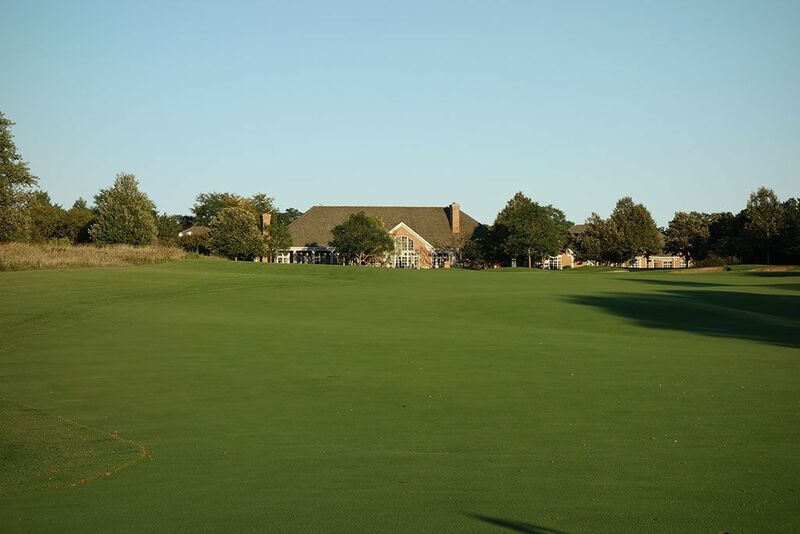 What to Expect: Merit Club is a private course located 45 miles north of Chicago that is known for two things; hosting the 2000 Women's U.S. Open and being one of Michael Jordan's home courses. The terrain features gentle movement throughout with water hazards frequently coming into the play and multiple bunkers on every hole. If I could pick one word to describe Merit Club it would be pleasant. The routing, conditioning, hole designs, and setting are all pleasant. There aren't really any holes that you'll be dying to tell your buddies about, there is just one solid hole after another to enjoy. The playing corridors are pretty generous overall with the course having an "open floor plan" as it were as players are afforded views across the course from various locations. The club encourages walking the course and the residential housing routing is relatively easy to manage. 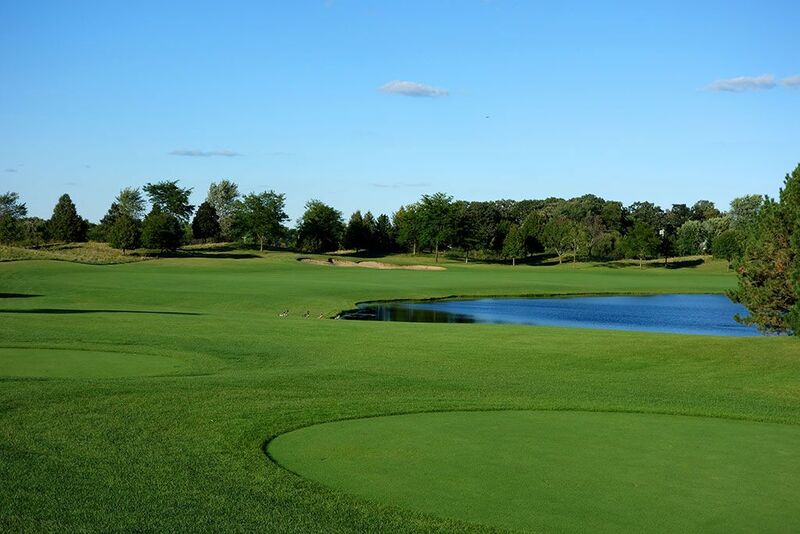 Overall, Merit Club is a high end private club with nice facilities and a professional staff that has a nice draw for north Chicago dwellers. 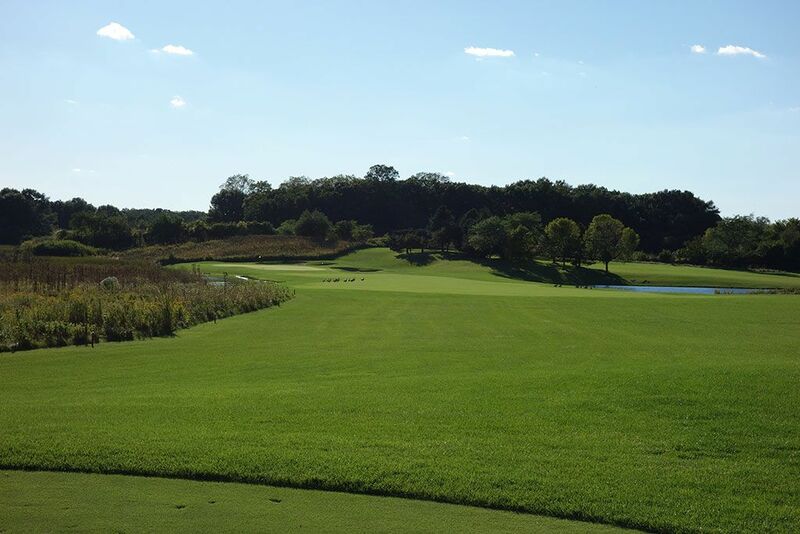 Signature Hole: 3rd Hole – 563 Yard Par 5 – After beginning with a pair of relatively forgettable holes, the Merit Club steps things up with this impressive par five. A 100 yard long pond runs up the right side of the driving zone while a pair of bunkers are found on the left. The pond on the right of the fairway is fed that two ponds found left of the green with the creek that connects them all across the fairway midway through the hole. The approach shot plays 10 feet uphill to a green pinched between a bunker and pond thus creating an early risk/reward opportunity. 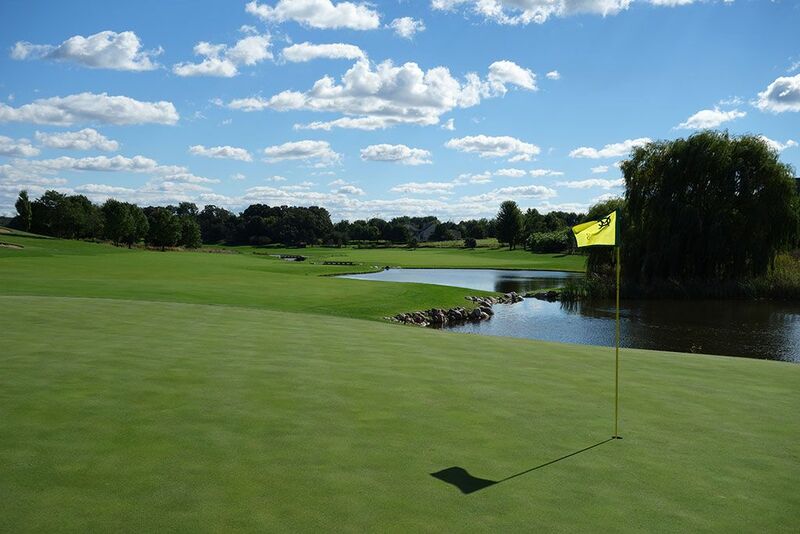 Best Par 3: 16th Hole – 197 Yards – The attractive 16th plays over a pond to a 40 yard long green that angles away from the player right to left along the bank of the water. From the forward tees very little water must be carried enroute to the green while the back tee will have at least 80 yards of water to clear before finding the putting surface. When the sun is sitting low and the shadows are getting long, this is a serene setting. Best Par 4: 6th Hole – 366 Yards – The short 6th hole can be a birdie as quick as it can be a bogey. Dropping 25 feet from tee to green, players hitting drives over 250 yards risk diving into the pond that forces the fairway to bend right. 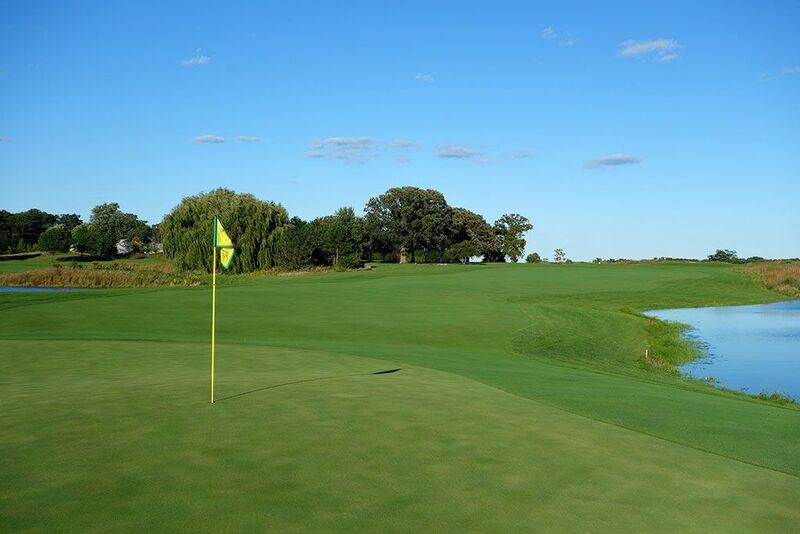 The approach shot will likely be played with a wedge in your hand as you attack the green that is flanked on the right by a pond and on the left by a pair of bunkers. Not difficult if played patiently but deadly if you get too aggressive, the 6th is a great match play hole. Best Par 5: 18th Hole – 550 Yards – Another risk/reward opportunity awaits on the closing hole at Merit Club where players have to decide how much they want to flirt with the water. 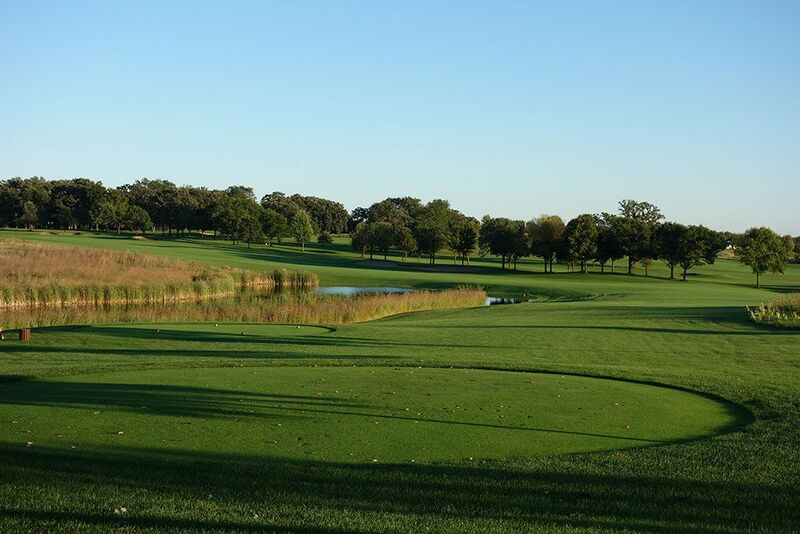 The fairway doglegs nearly 90 degrees left around a pond and affords players the opportunity to bust a drive over the water or play it safe with a 250 yard drive straight away. 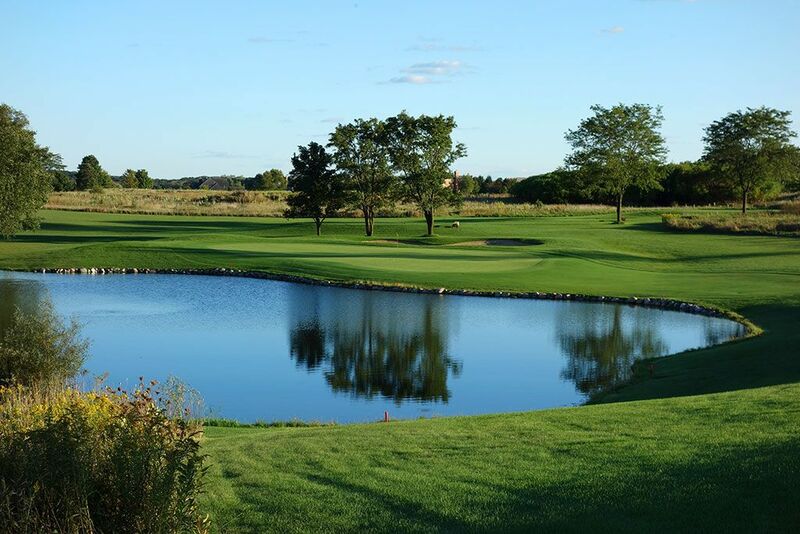 Players that can carry the ball 275 will have no problem clearing the pond on any line towards the fairway and sets up a great opportunity to reach the green in two. Six of the seven bunkers on the hole are found on the right side which will catch ball going long off the tee or fading into the green. There is a 30 foot climb to the green but with the front of the green open you'll be able to bounce a ball onto the putting surface if you can't fly it all the way in. Birdie Time: 13th Hole – 358 Yard Par 4 – The short 13th is a great chance to throw a birdie on the card. Players can lay up to the fat part of the fairway and leave themselves a wedge into the green or cut loose on the driver and try to get one close to the putting surface. The left side of the fairway is flanked by water so knocking it into that will quickly eliminate your birdie chances, but as long as you avoid it then taking a three is in play. Bogey Beware: 14th Hole – 426 Yard Par 4 – After having a great birdie chance, you now face Merit Club's toughest test. 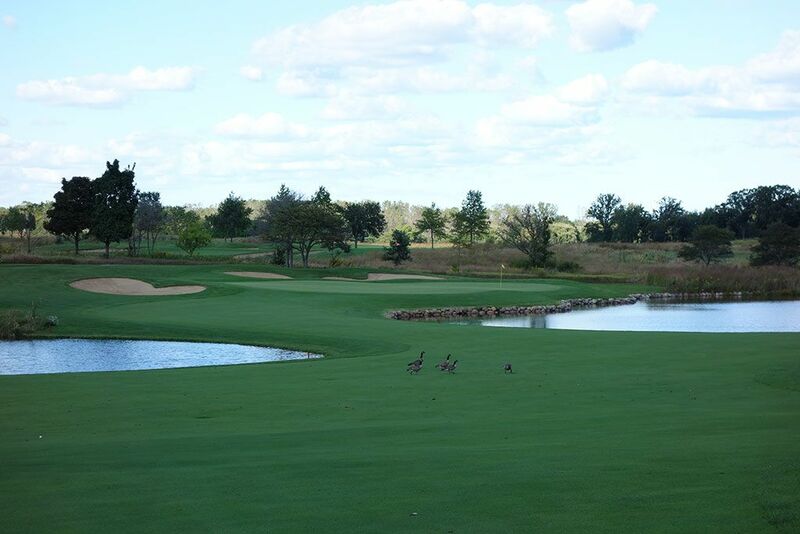 The fairway turns right around the luring pond and a 300 yard carry is required to carry the deepest part of the pond. If you are playing conservatively you'll take the line up the left side that takes the pond mostly out of play and stays short of the fairway bunker on the left. Unfortunately that will leave you over 200 yards into the green which really reduces your chances of reaching the green in regulation. Getting past the 14th unscared leaves you four holes that you can score well on, so minimize the damage and move on.